We know that many of you have lost sleep this year, laying in the darkness and pondering over the question that haunts us all as human beings: Did Steve Schwarzman make enough money last year? Well, thanks to some intelligently fun reporting from Crains&apos; New York&apos;s Aaron Elstein, we can finally put your gentle minds to rest. Steve made like a billion dollars...cash. Here’s how it works. 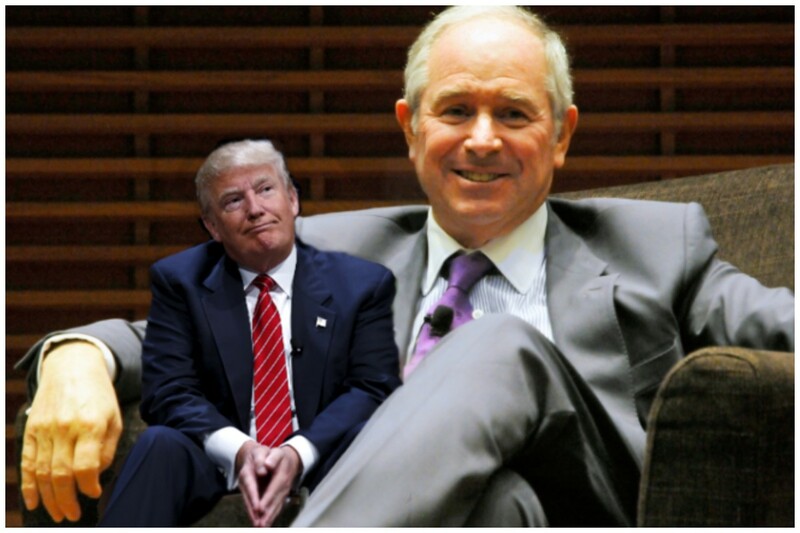 First, Schwarzman is a major stockholder in Blackstone, owning 232 million shares, and he is paid dividends on those shares. The firm said Wednesday that it paid out $3.17 a share to common stockholders last year. (It calls them unit-holders, but never mind.) However, Schwarzman is in line for an even sweeter dividend, because technically his stock is in Blackstone’s holding company. For instance, in 2014 he got paid a dividend of $2.46 per share, 16% more than common investors. Let’s suppose his dividend payout is 16% higher than that of the masses this year too: $3.67 a share. Multiply that by his 232 million shares and you get $851 million. The Schwarz&apos;s love of dividends is exceeded only by his love of crabs, so it&apos;s nice to see that he&apos;s making a few bucks from them. Schwarzman is also an investor in his firm’s leveraged buyout funds. Last year investors in those funds received distributions of $55 billion. When we last examined Schwarzman’s pay, it turned out he got $33 million in 2014 when the funds returned $43 billion. Based on that figure, let’s estimate he got $42 million in fund distributions last year. But wait, there’s more. Schwarzman also participates in Blackstone’s carry pool. That pool is filled with Blackstone’s share of the profits made from selling companies. In 2014 Schwarzman made $86 million, mostly from this source of cash. 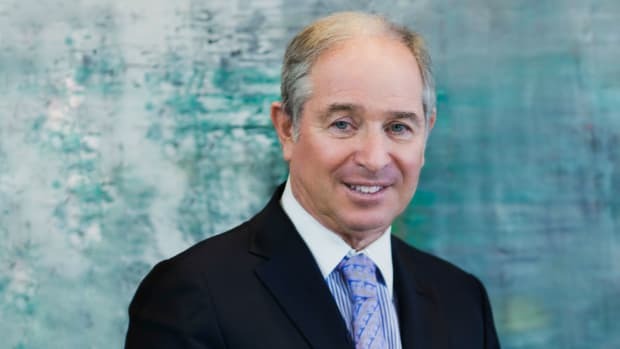 Based on how ebullient the markets are, and how much Blackstone says the value of its investments has grown over the year, it seems a fair bet that Schwarzman made $100 million from the carry pool in 2017. Boi oi oing! One one hand, you could argue that nine figures looks high for what The Schwarz is pulling from the carry pool, but on the other hand Blackstone pulled down $3.4 billion in net earnings for 2017 and it saw $108 billion of capital inflows. So... we can see it. But let&apos;s put it all together! Add up $851 million, $42 million and $100 million and you get $993 million. That seems close enough to say Schwarzman is the first $1 billion CEO. And even if he fell just short, he&apos;ll definitely make it next year what with his pocket president finally passing legislation to make large-bore private equity a tax-free business! So lay ye down on a bed of quiet, friendos. 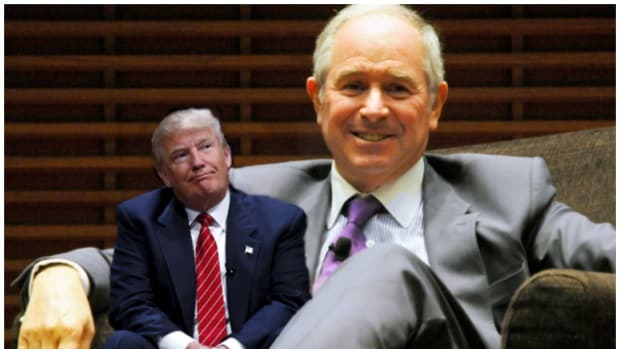 Steve Schwarzman made a billion dollars in 2017 and all is right with the world. To that end, please, don't compare him to a Tim Cook. He's a Steve Jobs. What's the use of being besties with the president if you can't help out shareholders in the process? The Trump tax plan is not making private equity great again.